Selecting a seasoned, respected and aggressive Massachusetts trial lawyer to represent you is the first step toward meeting the challenge of filing a civil lawsuit, defending a civil lawsuit, or being accused of crimes such as murder, domestic violence, drug trafficking, dui/dwi and sexual assault. The Mahoney Trial and Litigation Group is a team of highly qualified trial attorneys, forensic experts, and paralegals dedicated to fortifying, safeguarding, and championing our clients in the courts of Cambridge, Woburn, Waltham, Somerville, Boston and eastern Massachusetts. 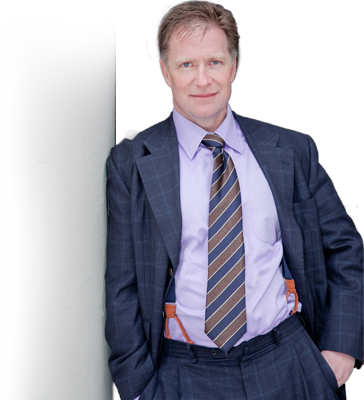 Kevin J. Mahoney, has earned a reputation as one of Massachusett’s best, most aggressive, well-prepared, and skilled trial attorneys. For over 20 years, he has battled the government on behalf of the accused, winning an impressive 53 of his last 56 trials* and serving as lead counsel in more than 100 trials and appeals. He also maintains an active civil practice and has never lost a civil trial. Since 2007, the prestigious National Trial Lawyers has consistently named him one of “The Top 100 Trial Lawyers.” Avvo, the national lawyer rating service, rates Attorney Mahoney a 10.0/10.0 for “superb.” In the courts of Middlesex County, he may be the most feared trial lawyer. Attorney Mahoney regularly provides on-air legal analysis for Fox News Live, Fox & Friends, CNN’s Nancy Grace, Court TV’s Catherine Crier Live and Greater Boston with Emily Rooney on high profile criminal cases. Court TV’s Forensic Files chronicled his tireless and successful defense of Christina Martin, dubbed “the Jell-O Murderer” by the national press. A master cross-examiner, his book, “Relentless Criminal Cross-Examination,” is available from James Publishing Company. Mahoney teaches criminal defense lawyers how to prepare for a trial, craft an opening statement, and cross-examine police officers, medical examiners, forensic experts, eyewitnesses, and those claiming to have been victimized. It is the fastest selling book in the history of James Publishing. Attorney Mahoney appears in courts throughout Massachusetts, with clients retaining him to defend them against serious criminal charges in the Superior Courts of Suffolk County, Middlesex County, Essex County, Plymouth County, and Norfolk County. For those who find themselves in a desperate situation, retaining Attorney Mahoney has provided them with what they need most — a lawyer who provides solid advice, possesses highly developed trial skills, and will work tirelessly to save them from ruin. While we have earned a reputation as a premier Massachusetts Criminal Defense Firm, we charge legal fees commensurate with those of other firms. Because we realize the importance of professional contacts, we have spent 23 years developing vital professional relationships with the country’s top forensic experts, investigators, and the staffs of most of the Massachusetts courthouses. These contacts have repeatedly proven to be invaluable to the outcomes of our clients’ criminal cases. To accommodate our foreign born clients, we have staff available who speak fluent Brazilian Portuguese, Spanish and Armenian. Additionally, our practice includes representing clients seeking naturalization, green cards, visas or to avoid deportation. We would welcome the opportunity to speak with you about your case, concerns, and hopes for a positive resolution to the criminal charges you are facing. While many Massachusetts criminal defense lawyers will promise a potential client results that he cannot reasonably hope to achieve or play on his worst fears, we will earn your trust by advising you honestly, fairly and professionally. If we cannot secure dismissal of the charges or negotiate a resolution that you find acceptable, we are prepared to go to war for you. That’s our promise. Kevin J. Mahoney's Best Selling Book on Cross-Examination Techniques for Criminal Trials.